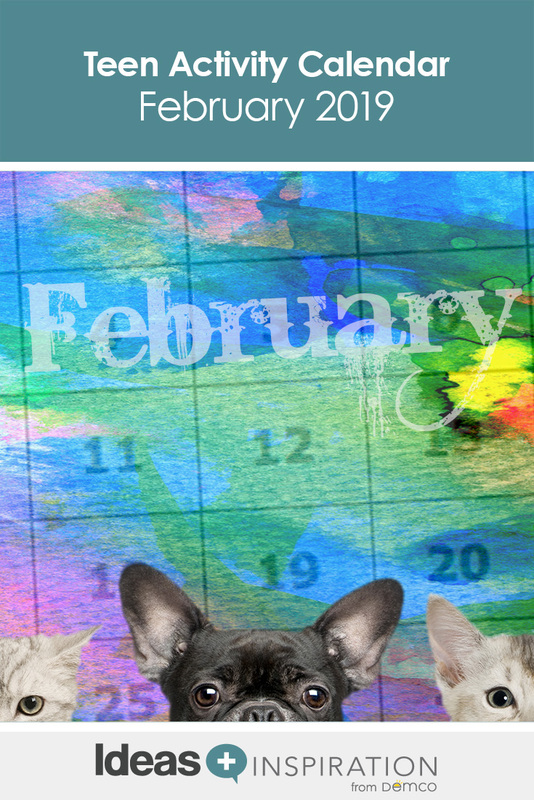 Teen Programming Calendar: February 2019, Activities, Books, and More! 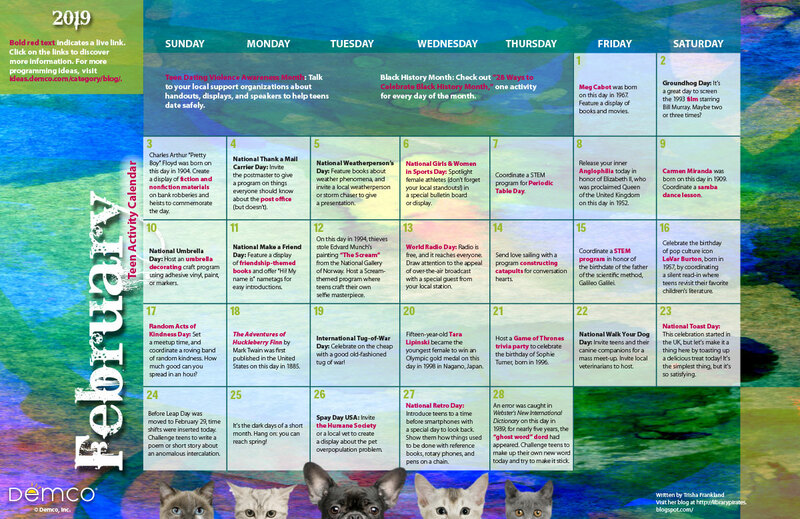 Teen Programming Calendar: February 2019, Activities, Books, and More! It’s February, and 2019 is in full swing! Trisha Frankland shares teen programming ideas and book suggestions to celebrate fun days like Make a Friend Day, National Weatherperson’s Day, National Walk Your Dog Day, and much more to beat the winter blues and keep teens engaged all month long!